Kenya requires all Grade 8 students who wish to advance to secondary (high) school to take the Kenya Certificate of Primary Education (KCPE) exam. This test, given only in English rather than Swahili or the local ethnic language of the children’s homes, determines if students can advance to secondary school and the quality of school they may attend. KCPE-Prep is a direct-to-school program that combines school-time, after-school and camp programs to strengthen the academic skills of Grade 8 students with a focus on English and math. 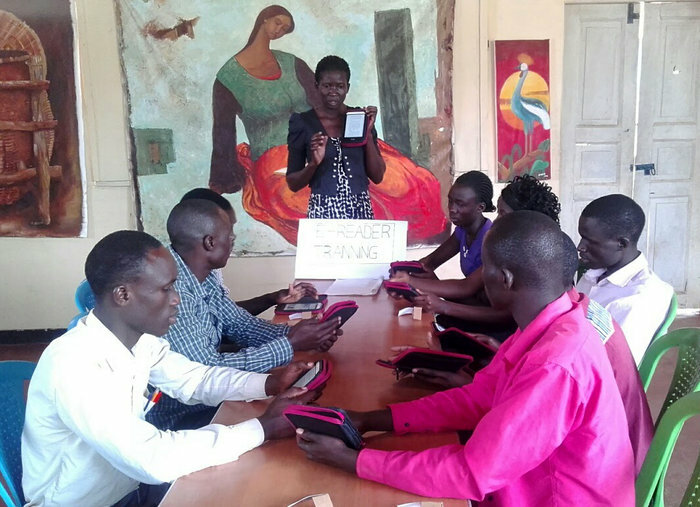 Kiwimbi utilizes teacher assistants and provides materials for students. 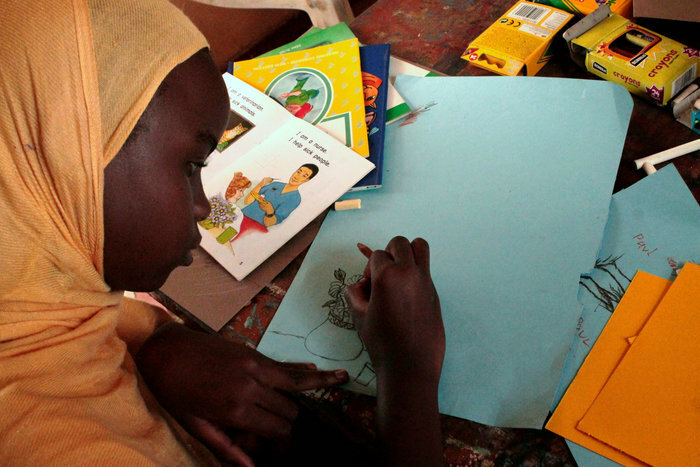 Without teaching assistants, Kenyan teachers can face classes with 80 or more students. 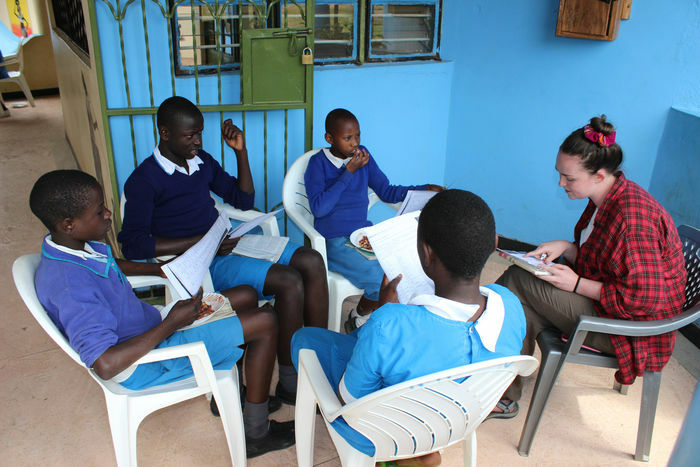 With Kiwimbi teaching assistants the classes can be broken into smaller, ability-based learning groups. The lunches we provide are another very important component of Kiwimbi’s KCPE-Prep Program. 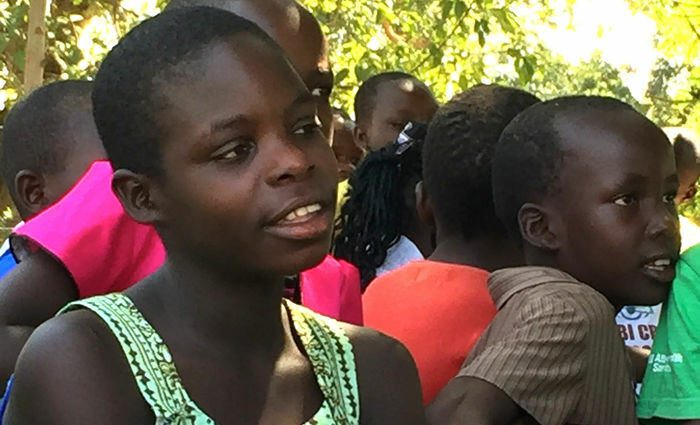 Besides insuring that these children have access to at least one nutritious meal a day, a key to learning, the lunch program eliminates the need for students to walk home, sometimes miles, midday for food. This ensures that the children have the time and energy needed to focus on their education. In the spring of 2013, Kiwimbi established a physical presence in a building made available by Busia County. The Kiwimbi Community Center and Library is the first free public library in the county and has become a hub for the community. It welcomes between 200 and 500 visitors each day, both school children and adults, seeking educational tools and broader knowledge. Access to the Library is free, critical in this low-income area. Many of Kiwimbi’s programs, such as the KCEP-Prep camps, operate here. The Library also contains over 20 e-readers with the texts of the Kenyan curriculum for Grade 8 students. With e-readers, internet access, magazines, over 20,000 volumes, a museum and art exhibits, the Community Center and Library provides an enriched environment for both students and townspeople – another key to learning. Even given the improved academic success rate of young people in Kiwimbi’s KCPE-Prep program, the large majority of youth will not have the opportunity to attend secondary school. To meet the needs of these children, Kiwimbi has developed a variety of vocational training programs including art, carpentry and tailoring. 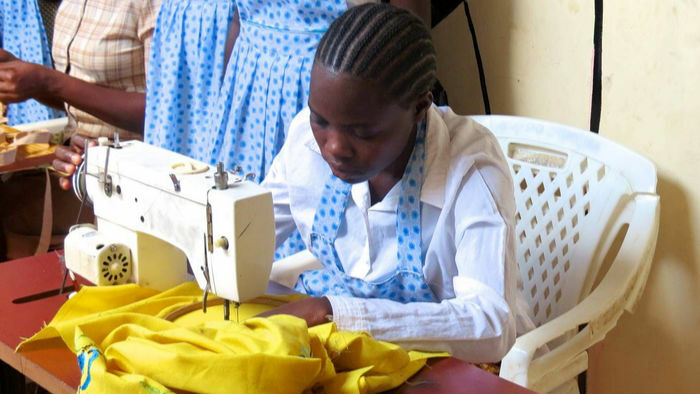 The tailoring program provides students with the skills needed to pass a national practical exam. In 2016, all of Kiwimbi’s tailoring students were certified and passed the exam. They can do piece work, repairs and, significantly, make complete school uniforms. This means that when they leave Kiwimbi they are in a position to make uniforms for surrounding schools. This steady market provides an opportunity for these young adults to establish a livelihood. 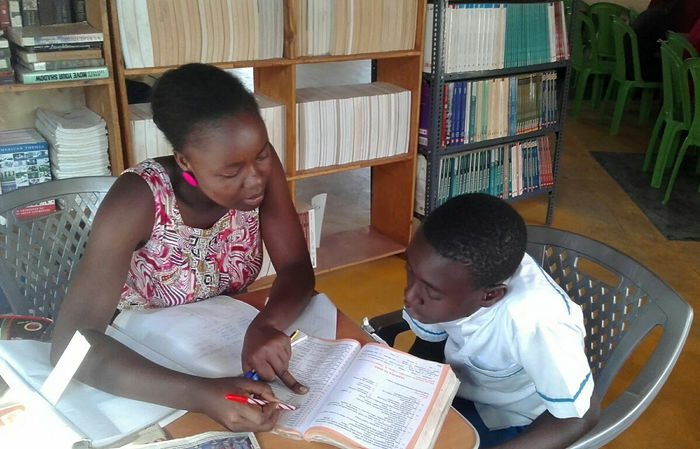 With our partner, The Elewana Education Project, Kiwimbi runs the English Access program, an American Embassy Micro-Scholarship Program involving five different local secondary schools. Kiwimbi has been recognized as the most appropriate site to host the program locally. The goal of the English Access program is to enhance English literacy while inviting the students to become familiar with American history and culture. Eventually these students will have an opportunity to win a scholarship to a college in the U.S. Despite Embassy program cuts that in 2016 eliminated 340 out of 400 micro-scholarships, 40 of the remaining 60 slots were awarded to Kiwimbi.